My experience with HomeNet Automotive (the leading automotive data distribution company now owned by AutoTrader) gave me unique insight from all perspectives: vendors, 3rd party inventory sites and dealers. (In regards to TrueCar having, and using, a dealer’s sales data) In the early days of inventory marketing, it was the general thought that having your inventory on every 3rd party site possible was a great idea. Most dealers signed up for every 3rd party site they could, especially if it was free. When I was an Internet Director, I signed up for them all also. When I was with HomeNet, I talked to many Dealer Principals that wanted their inventory everywhere. Most never read any “terms and conditions”, they just signed up. Any of these third party sites could have been polling their DMS for not only inventory but sales data and they never would have known. Nothing’s free. It wasn’t until recently that people started questioning the wisdom of shotgunning their data and, even then, it had nothing to do with whether the sites should have it but how it was effecting their SEO efforts and how the sites were using their data to collect leads then selling those leads to the dealer. It had nothing to do with the fact that they HAD the data in the first place. When HomeNet Automotive integrated TrueCar into their inventory management tool, (IOL Pro), as a rep, I visited many dealers who loved the TrueCar feature and ability to use reports to close deals and research competitor pricing. Only a few even questioned where the data was coming from and in only one case was a dealer actually upset that we (ie. HomeNet) had the sales data at all. The fact remains that this data was given voluntarily by the dealer to hundreds of 3rd party sites, each with their own terms and conditions, and any of which could have been polling their DMS for sales data and, in turn, providing it to TrueCar, Edmonds, AutoTrader, etc. or any of the hundreds of other sites. Now, onto the lead program.. People are complaining that TrueCar leverages the dealer’s data (which the dealers are giving to countless websites already) to provide consumers information on the lowest prices for vehicles, converting the lead and offering it to the dealers on a per sale cost of $300 versus a per lead basis. Why is this so evil? There are plenty of 3rd party sites that do the same thing with the only difference being that they charge per lead. Hell, even MANUFACTURERS do it. When I was in retail, I used a company with a similar pricing strategy named Autotropolis (since bought by Autobytel for $15 million). I LOVED those leads. I could easily identify a lead from them and factor in the $250 per sale fee into any deal structured or quote given to a consumer. I only paid when I sold a car. It was great. At least on a per sale basis, my cost per sale was fixed. With 3rd party leads, it wasn’t. I hear dealers complain about $900+ costs per sale with their AutoTrader programs yet they still participate. The point is that I was always in control of the sale. If I didn’t want to sell the vehicle at the pricing given to them, I didn’t. It was my choice. The fact is that I would rather have the opportunity to earn the sale than not have it. Why wouldn’t you want a fixed cost per sale on internet leads? Dealers have been sending their transactional and inventory data to 3rd parties for YEARS. This isn’t some new phenomenon that’s all of a sudden appearing. Everyone wants to single out TrueCar when, in fact, TrueCar is only ONE OF MANY companies that have their data. Dealers have willingly and happily provided this data to 3rd party sites for YEARS (at least as far back as 2003 to some sites that I personally know of). To top it all off, dealers and industry professionals have been evangelizing transparency in their sales processes, pricing and interactions with consumers yet it appears that dealers don’t really want transparency, what is wanted is the illusion of transparency. Bottom line: If you don’t want your data used by a 3rd party, stop giving it to them. I’m not just talking about TrueCar, I’m talking about EVERY 3rd party. TrueCar is a business that pays for information received from the dealers themselves. Rather than demonizing TrueCar for monetizing the data by providing a service to both consumers (via transparency) and dealers (via sales), don’t participate. As the saying goes: Don’t hate the player, hate the game. UPDATE 12/1/11: Seems as if my friend Jerry created a new video. In browsing a popular deal website, Slickdeals, I noticed a thread titled “20% off all new Chevrolets (Arizona)”. Out of curiosity, I thought I’d check it out. I was more curious to see if the dealer (or an employee) posted this or if it was something that a forum member posted. Wow. Talk about negative publicity. Here are some choice comments from the thread from people who TRIED to take advantage of this deal posted on the dealership’s website (which does actually say “20% off All New Chevrolets”) and one local customer who decided to chime in about his buying experience at this dealership. “Hi Chris … Thanks for your email 11-27-11 on the New Chevrolet Volt #120126 and choosing Sands Chevrolet in Surprise for your next Chevrolet purchase. This Volt is available from Inventory here in Arizona. Is that a CRAZY PRICE or what? $7,500 of this Huge Discount will be in the form of a Tax Credit at Year End Tax Time, and you will also need to be a Resident of Arizona to purchase at this Special Price. There are no Rebates or Special Interest Rates at this time. Please call or email me. To date, over 5,000 people have viewed this thread. That’s 5,000 people who were interested enough in buying a new Chevrolet that they clicked on the thread to get the details and found the above types of comments. Done right, that could’ve been 5,000 leads. This probably led to 5,000 people who aren’t going to buy a car at this dealership. For many, Black Friday has become more about the “thrill of the hunt” than about a real need for savings. People lined up 9 days early at a Best Buy in Sarasota, FL. In my opinion, there really wasn’t anything worth waiting NINE DAYS IN LINE but, hey, that’s just me. On to the sale that wasn’t supposed to be. A Target store in Trumbull, CT didn’t have enough Kindle Keyboard 3G’s in stock for their Black Friday sale so, in an act to make their customers happy, they decided to sell their stock of Kindle Fire’s at the same discount (38%) that was being offered in the ad for the other item. 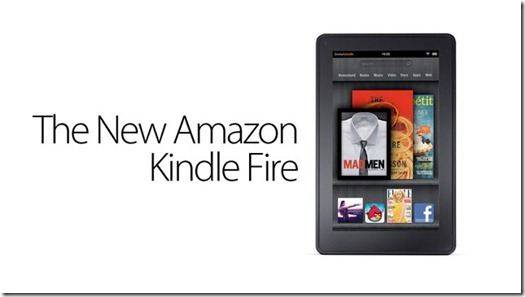 This effectively reduced a very popular, just-released item from $199 to $123.38 plus tax. Kudos to them. One of the people who managed to get this deal (and it is a good deal) decided to post the deal to a popular deal website, Slickdeals, to inform other bargain shoppers. Many people saw the deal and attempted to get their local Targets to sell it at that price to little success. Then one person attempted to get the item price-matched at a Wal-Mart using the display pictures and receipt images as proof of the price…and succeeded. This prompted a mad rush on the country’s Wal-Marts. The crowd talking about and trying to get this deal kept each other up-to-date on where they had succeeded and failed posting pictures of receipts and store locations as they went, in real-time. Remember, this started with one store who made a special deal to its customers. This thread has grown to over 59 pages (2300+ posts) as people scramble around all over the country, sometimes visiting 3-4 Wal-Marts and other retailers in an attempt to get this deal price-matched and save $75. Some people just want a deal. Some are looking to resell these which, by my calculations, would net them AT MOST $50 each. (Check for yourself) Many just bought them because…well.. for no reason other than it was a good deal. I like a good deal as much as anybody but this is just insanity. The unsuspecting managers at these competing stores are getting hammered. In many cases, these deal seekers report having to “convince” (ie. complain vigorously) the managers to even give them the deal in the first place. I suspect many managers just gave them the deal to save themselves headaches. I’m fairly certain that these deal-seekers aren’t being straight forward when attempting to get this price-matched deal (ie. telling them the circumstances under which only this one Target sold the item at that price and why) which, in my opinion, is fraudulent, or, at the very least, dishonest. To top that off, many people are doing this simply to say they succeeded as, more often than not, they are failing. However, just enough people are succeeding to keep people trying. What compels people to waste so much time in an effort to get a deal on an item they may not even want under circumstances that take advantage of retailers requiring them to be dishonest because one store made a special deal to their customers? This started on Black Friday and is still going on today. Is content marketing worthwhile? How do you tie it to revenue? 1. 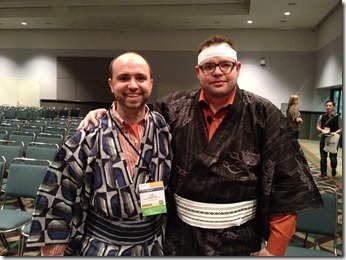 Closed Kimono – There is no online thought leadership. Your content is not for public distribution. This type has the goal of significant repeat and “word of mouth” business. Pro: There is zero time investment. Con: You have limited exposure and a reduced ability to build online influence. “To be considered a leader in any field, one must build and gain trust within their communities.” – Lisa M. Loeffler, Genuine Media Co.
3. Quid Pro Quo – This type comprises of selling thought leadership via methods such as e-books, how-to articles, and e-newsletters. The essential flow is that you give away free content and include a form asking people to subscribe to receive more free reports, etc. This builds your subscriber base and you then you market to those people with your paid content. Keep in mind that your free content needs to be “best in class” or people won’t pay you for your paid content. Pro: Recurring revenue. Con: Passive income. 4. Give Me Your Number – This is essentially lead-gated thought leadership. In this type, you put your content behind a gate (such as a lead form) and people have to give you some personal information to access the content (such as an e-mail address, etc.). Here you can focus not just on lead generating but lead nurturing. You would promote your content through all of your media channels but not give it to away until someone completes a lead form. Pro: If your content is good, you can generate a river of leads. Con: You have no control over the lead quality. 5. Peekaboo – In this type of content marketing, you give away what you know but not the process. Your content itself becomes your resume of thought leadership. Pro: You will get heavy SEO and PR awareness within your audience Con: This type takes tons of effort. It can also devalue each piece of content. You also risk publishing too much which could lead to you being ignored. 6. The Full Monty – Just like it sounds. You give it all away – what you know and how to do it. You create content for content’s sake. You even create content that is outside your industry. You can still have a lead form but it should not act as a gate to the content. Pro: There is no barrier to the customer. You can go big or small. Con: This type requires serious effort. It also allows others to “steal” your content and diverts attention from your core attributes. Which one is right for you really depends on your target audience. Through testing, you can determine which one converts the most for you with your audience. It was fun using this “type-guide” to identify which type of content marketing various members of the online automotive community are using. 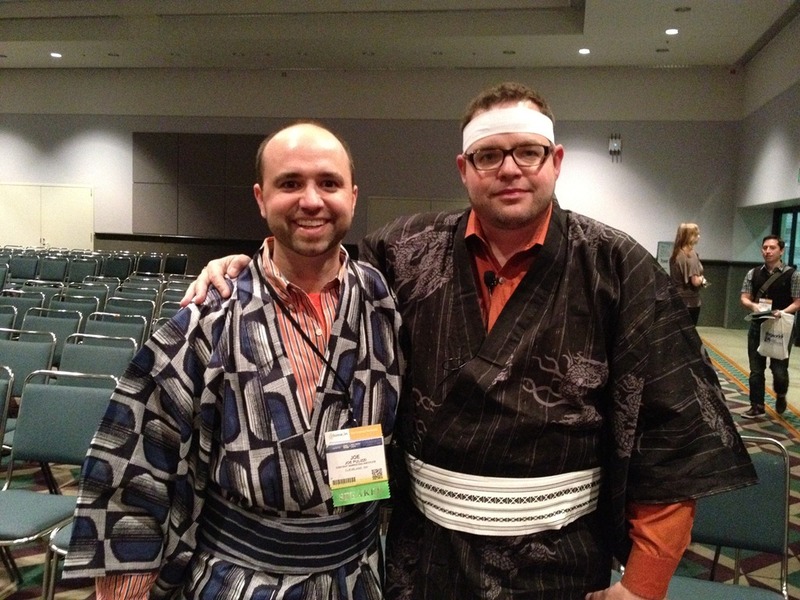 You can follow both Jay Baer and Joe Pulizzi on Twitter for more valuable information and content. The question I hear asked the most by dealers when talking to them about social media is “What’s the ROI? How do I measure that?” The problem with getting a buy-in from them is that they want to see a straight line between a Facebook post or tweet and a sale. Sometimes that’s possible but most of the time, it isn’t. Inevitably, they can’t answer that question. Funny thing is that even Google got into the “gorilla” game when they posted an ad for PPC advertising stating that Google Adwords would have “tons of customers headed your way” and implying that the gorilla would not (which they were promptly sued for by the makers of inflatable gorillas). The most common thought is that the giant inflatable gorilla gets people’s attention (just like the weekend tradition of “ballooning” the cars. Nobody that I ever know of said that they stopped at a dealership and bought a car because they saw a gorilla on the roof. In fact, it’s quite the opposite. I’ve seen many comments by consumers that say inflatable gorillas are insulting to them. Some have even said that they are an indicator of an “old-school” dealership and would avoid these dealers at all cost. Social media, on the other hand, when done properly, can increase customer loyalty, satisfaction and referrals through engagement with your customers. There are TONS of examples of this result from HUGE companies (Ford, Southwest Airlines, etc.). I’ve NEVER heard a customer say those things about a dealership using social media (with the exception of dealers that spam their customers with inventory). Let’s assume that you can’t track ROI on social media (which is incorrect) and that you can’t track it on an inflatable gorilla, which end of the spectrum would you rather be on? ….jump off the roof and physically drag customers in. So, if you’re willing to put an inflatable gorilla on your roof, balloon-up your lot every weekend, have a “hot-dog food fest” or any of the other things that surely have people (presumably) slamming on their brakes on the freeway to come to your dealership and buy a car, then why wouldn’t you have a presence on social media whether you can measure it’s ROI or not? 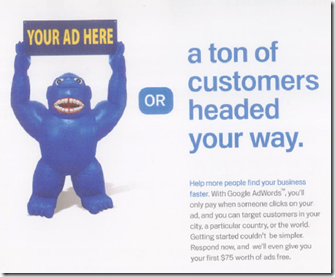 What do you think of giant inflatable gorillas on car dealerships? Can Your Dealership Be Too Social? I hope dealerships realize that a social media presence is necessary these days. Hopefully, there is someone at your dealership handling this. More likely than not, this task has been assigned to someone which this is NOT their primary responsibility. That being said, is there a thing as being “too social”? There are many social networks out there and new ones popping up everyday. In a perfect world, dealers would have a dedicated person that could keep up with and manage them all by posting new content (preferably original) via blogs and all the social networks with their listening ears on. Most dealers, however, don’t have the budget for this type of person. It’s hard enough for ME to keep up with them all much less to ask a dealer to. Would it be better if a dealer picked a few and concentrated on being really good at those instead of spreading themselves so thin that they aren’t managing or maintaining an active presence on them all? It’s not enough just to have a Facebook page or G+ page or Twitter account, you have to engage and keep fresh content on it.. nurture it. Right now we have Facebook, Twitter, G+, Google Places, LinkedIn, YouTube, … and the list goes on. Now Microsoft is about to enter the game with Microsoft Socl.. yet another social network to maintain. Right now, there are 205 websites listed on Wikipedia as “social networking sites” (Yes, I counted them). You can’t effectively manage all of them (and most of them wouldn’t apply either) but you do still have to figure in managing your online reputation through sites like Yelp, DealerRater, etc as well as the location-based services out there like Foursquare.. Oh, and don’t forget about blogging! It’s exhausting to think about, isn’t it? I promise it’s just as exhausting to actually do. My advice: If you don’t have (or can’t afford, or don’t want to afford) a person that can actually manage this full-time, pick a few sites mixing up social, reputation management, location-based and a blog… and be good at them.